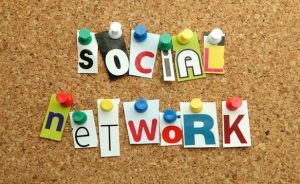 Are you using social media marketing for your Hearing Care practice? Of course you need to use traditional mediums, like direct mail, to drive new customers to your office. However, you also need to incorporate social media into your marketing mix in order to retain what we like to call “the golden customers” loyal customers who return to you… who upgrade… and refer friends and family. Social media is NOT a instant gratification, “send-me-a-sale-now” tool. It is a marketing medium that will bolster your practice in the long run – giving your practice authority, familiarity and likability – essential elements in running a successful hearing care, ENT, or audiology practice. Whether you already have a robust social media presence or you are just starting out, here are some great tips on making it better. 10 Social Media Time Management Tips for Small Business – We know it can seem daunting to manage social media yourself. It CAN be done quickly and effectively! Here are some best practice tips to live by. Earn Attention (Not Followers) – It’s not the size that counts, it’s the quality of your followers that matter. Here are best practice on retaining your most valuable followers. 5 Quick Ways to Improve your Brand’s Social Presence – We know that you sell hearing aids. Your customers know it too. Reminding your followers over and over how and why he or she need to buy your hearing aids will only cause your followers to ignore you. Keep it interesting! Find out how in this quick article. Building Your Brand on Twitter – How to get started on Twitter… and doing it the right way. Even if you are already on Twitter, double check that you have accomplished these steps. 14 Steps to Generating Leads on Twitter – Twitter (or any social media) should NOT be used solely as a lead generation tool. You will quickly lose interest that way. Your social media posts should be 1/4 self-promotion and 3/4 interest topics. When you do utilize self-promotion posts… this is a great guide on doing it efficiently. Did you know there are more people over the age of 50 using Pinterest than using Twitter? True story. Yet very few practices in the hearing industry are utilizing Pinterest. Get a leg up on your competition and start using Pinterest people! BUT make sure you are doing it right, otherwise you are just wasting your time. 6 Reasons You Should Be Using Pinterest to Market Your Hearing Care Practice… Right Now – our own blog on best Pinterest practices for your practice. 56 Ways to Market Your Business on Pinterest – tons of great tips!